First of all I need to thank Toastmaster friends, Gale Brazier and Gabriela Roope, for always keeping an eye out for anything to do with the heart world and for letting me know when something important is going on. These sweet ladies let me know about Bret Baier and the fact that he was going to be in Grapevine for a book signing. 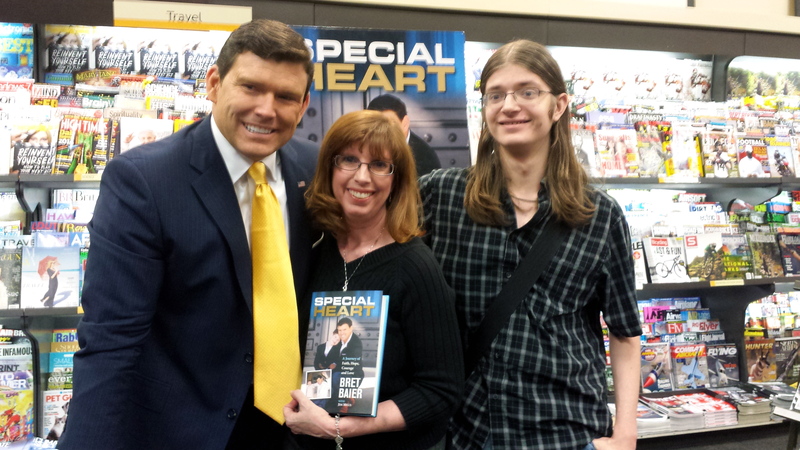 Thanks to these ladies, Alex and I had a chance to get our book signed by Bret Baier. I am so excited! 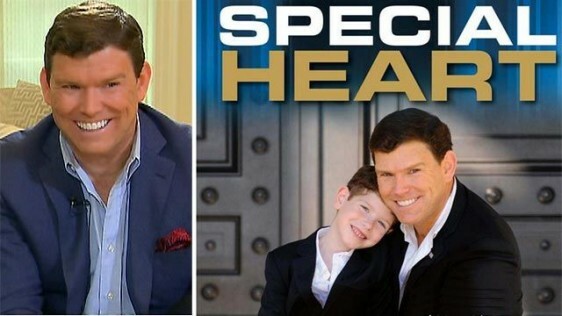 I had been promised an interview with Bret Baier on my radio show but as the date drew closer, I grew concerned because there was no word from Katy Ricalde, Bret Baier’s assistant. Finally, today I received the confirmation that he will indeed do an interview with me! Sadly, it won’t be our typical hour-long show, but we will be granted a 20 minute interview! Yay! I really enjoyed reading Bret Baier’s book. Since I don’t have cable, I don’t watch much television and I didn’t really know who Bret Baier was. His book is more autobiographical in nature than just a story about his son, Paul’s, heart. Bret really understands what we heart families go through. He’s been there in the hospital with his son. 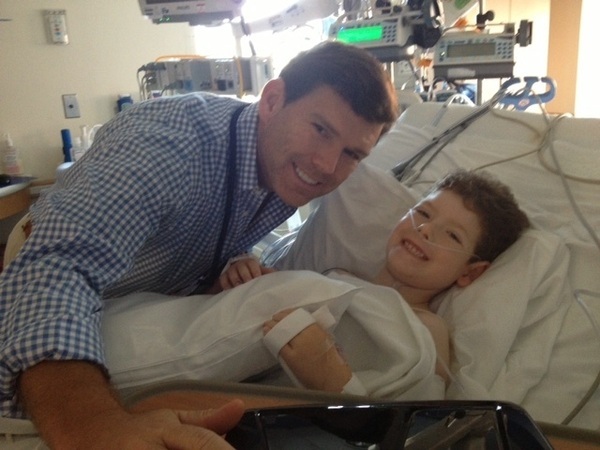 He’s also played the same waiting game that so many of us have to play — knowing that future surgeries are inevitable. Please tune in on Tuesday, September 2nd at 11:00 a.m. Central Time to hear our interview. I’m looking forward to it and I hope you are, too!